Thus, the boy in Calgary was courageous and rather than saying, “You could have gotten yourself hurt,” we should applaud him for acting as he did in lieu of the knowledge that he could have been harmed. The “it’s not my business” mentality and “I don’t want to suffer harm” is what has allowed perpetrators to continue to have victims. But not only did this boy show courage, he also showed love. He showed love not only to the potential victim, but also to the victimizer. Certainly harming anyone from a violent attack takes an act of love. When putting one’s own life in the way to protect someone else, love, even if a modicum of love, is displayed. Yet, the perpetrator is also shown love. What if the boy with the knife had harmed or even killed his victim? He would face a lifetime of guilt, not to mention legal repercussions. His family would have to live with what he did. His future would be ruined. 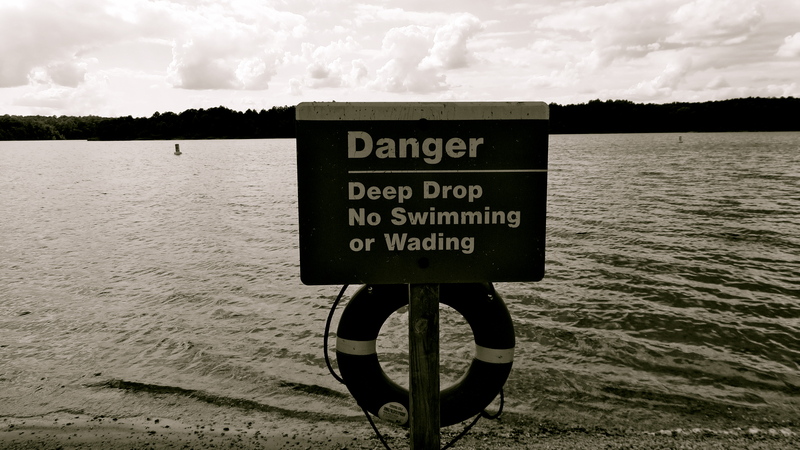 In stopping him from making a mistake, a permanent mistake, the boy displayed love to the perpetrator, even though he put his own life in harm’s way. For this, the boy should be rewarded and not condemned. The individual virtues are all distinct, but they are not separate. That is, you cannot have love without justice, you cannot have courage without temperance, you cannot have hope without faith, and so on. You cannot have any of the virtues without simultaneously having them all. Thus, if we rob a person of one virtue, we have robbed that person of them all. In robbing this young man of courage, we are teaching him that none of the virtues matter, that only personal peace and affluence matter. The only things that matter are the material elements of the world; so long as I can make money and not have my own safety threatened, nothing else matters. Within our souls we are Elijahs and we feel the coming of God’s voice. We suffer under the wind of wrath, of being angry when we see injustice; but the voice is not found in the wind. We tremble with anger at the lack of charity in our world, but God is not found in our trembling. We burn with hatred towards cowardice; but we see nothing within our burning. These are our natural emotions towards things we naturally know are wrong, but lack knowledge as to why they are wrong. Unlike Elijah we never wait around to see what is next, but instead play our music loudly and drown out the reality of our existence, not wanting to contemplate it or deal with it. If we were to stay, if we were to explore why we are so angry at injustice, we would begin to hear the still small voice of God. We would hear that voice cry out, “To hell with personal peace! To hell with affluence! Live a full life, live a virtuous life!” We would discover an inner-virtue, one that did not care for our material gains. Sadly, we live in a society that sees no benefit to the virtues because they promise neither health nor wealth. While one can be rich and healthy and still be virtuous, being virtuous does not promise everyone such a life. Sometimes doing the right thing will require of you a great sacrifice, sometimes it will require your life. Think of the brave young student in Tienamen Square. “Brave.” That word is thrown around too often, typically to describe people who have come out with viewpoints that are often accepted by the intellectual elite of a certain group. There is no risk of a personal cost in stating those beliefs, only a promotion. Such people are no more brave than a man putting in an application for a job and saying he loves the company he’s applying for. No, this student in Tienamen Square was truly brave. 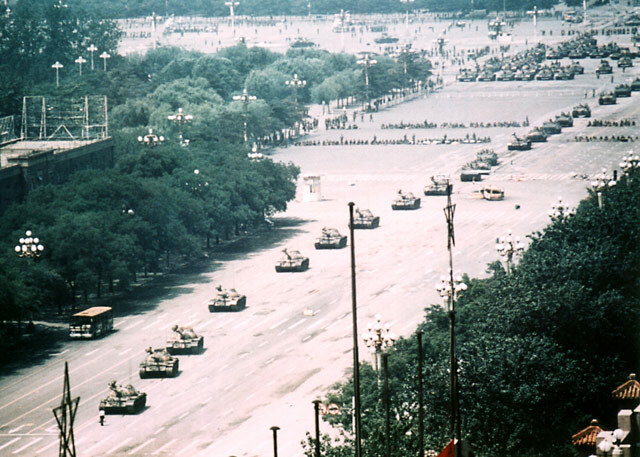 When the tanks rolled in, he stood before them and made them stop…and then he walked up the tank. He did the right thing. He stood for justice (any stand against tyranny is a stand for justice; take note of that those who despise Edward Snowden). In standing for justice he also displayed his love for his entire country. This came at a great risk as he actually put his life on the line for making a stand. Doing the right thing can sometimes get you killed, but it is better to die in pursuit of the Good than to die pursuing nothing. We all die, it is inevitable. How we live makes all the difference, and if we live for ourselves and our material gains, then our deaths will truly be pointless, much like our lives. We are raising a generation that will go along with the rules so long as those rules make them money and gives them safety. We are raising a generation that would sooner salute a dictator if it gave them protection and prosperity than to defy him and die. 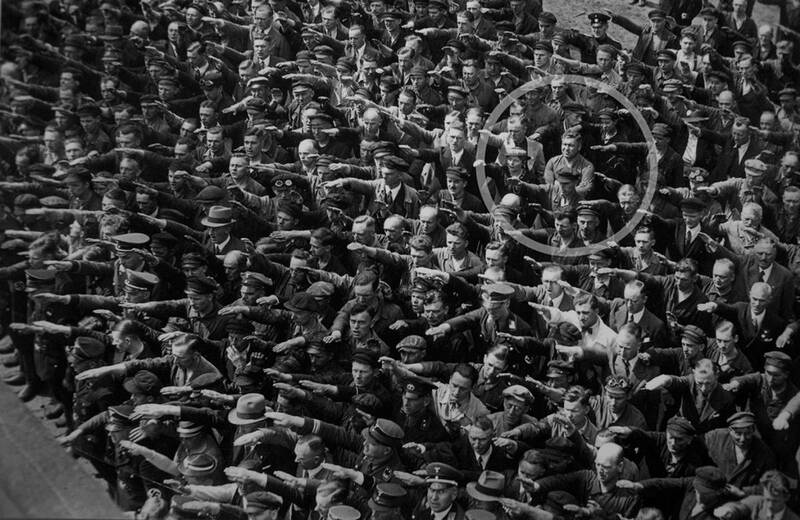 I think of the picture of a Nazi rally that recently came up where everyone was giving the Nazi salute, except for one man who stood with his arms folded and gave a cynic’s scowl. It summarizes this entire post; that man had virtue and put his life on the line to display it. He could have been killed for his actions, but he chose to do what was right over what was safe, because the two are sometimes mutually exclusive. And so we come back to our example of Calgary. The point stopped a potential stabbing. He put his life at risk by doing what was right and the school took the opportunity to cast aside virtue and embrace personal peace. In the end, such a society cannot exist. A society of weak-willed people is a society that will be ruled by the strong, that any dictator can take over. All dictators are the end result of a society when it chooses to abandon virtue, because dictators are the embodiment of vice. And yet, deep down in the weak-willed people will cry a tiny voice that, as the oppression becomes greater, grows louder and louder until it becomes a shout. That shout is then put into actions and those actions beget true liberty through virtue, though it comes at a high cost. It is not too late in our society to begin a return to virtue; our society is not dead yet, it has not fully abandoned virtue, there is still time to turn back to virtue and to live. Posted on June 14, 2013 June 13, 2013 by Joel	This entry was posted in Culture, Philosophy, Virtue Ethics and tagged Calgary, Catholic, Christian, culture, Edward Snowden, ethics, Theology, Tienamen Square, Virtue, Virtue Ethics. Bookmark the permalink. ← Should a Pastor/Priest be paid?